Possessing an overseas study experience is a valuable addition to your profile that makes you stand out from the crowd in the global job market. New Zealand has institutions that possess a strong affinity with industry. Internships and job placements will offer firsthand experience of working overseas in your chosen career. Studying in an English speaking nation will help you to enhance your language skills in day to day practical life. 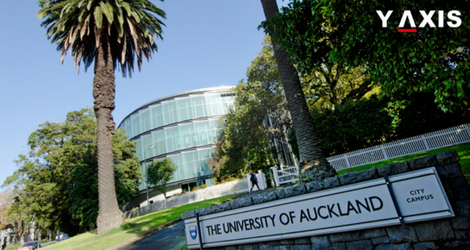 Studying overseas in New Zealand will expose you to a new living as well as alternate learnings. This nation encourages creative thinking through learning hands-on style rather than memorization. Living overseas in a new nation will offer you a fresh perspective on your own culture and nation. It will also offer you innovative ideas and views. Study overseas has its own challenges, from locating destinations in a new city to making friends. This will make you more self-reliant and independent, as quoted by the Study in New Zealand Govt NZ. You will obtain a better understanding of diverse people and places through socialization with new cultures. For example the unique Maori culture of New Zealand. Studying abroad will offer you chance to meet people from across the globe and have friends that may be for a lifetime. Studying abroad is an extraordinary opportunity to be your own self in a place where nobody is familiar with you. This means a new way of living, new people and a new you. Study overseas also offers you a chance to capture incredible memories in photos. This could be playing beach cricket with your new friends, exploring nature, or bungee-jumping off a bridge.